That’s why here in PESOS AND SENSE, we advocate financial education. In line with this, I am glad to share with all of you that I will be part of the Money Summit and Wealth Expo 2013. This two-day event will feature different experts in their respective fields: stocks, funds, forex, real estate and other investments. This is a perfect venue for you to learn about these different investments that will help you achieve your financial goals. My talk will be on the second day of the conference. I will discuss “Pick the Right Stocks: Intro to Fundamental Analysis”. If you are a long-term investor, this talk will help you make investing decisions based on analysis, and not from tips you get from strangers in Facebook. Learn the importance of having an investment strategy which you can stick to regardless if the market is up or down. 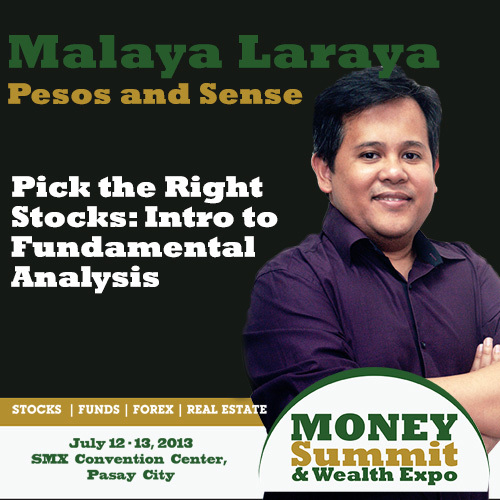 This event will be held at the SMX Convention Center Pasay City. may registration po ba? magkano kaya? Thank you for a great talk earlier (Picking the Right Stocks) and for accommodating our questions. It’s been quite awhile that I really figuring out if my portfolio is beating the Philippine Index. Thank you for telling me that beating the index is not that important as long as I’m hitting my goals in terms of my investments. 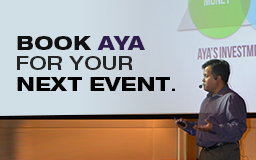 I hope to see you in your future seminars. I would like to ask if I can open an account in CITISEC.online even if I’m here abroad.Can you please give me the details how because I’ planning to retire in the Phil.Is it still advisable to invest at this age? Thank you ..
sir aya maari ko po ba malaman if may scheduled seminar kayo about making your money grow from mid sept until mid oct mgbbkasyon po kami sa pinas ng husband ko next month and we want to attend one of your seminar. Meron po kami Sept 21.